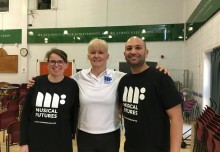 We will be working with the University of Limerick over the next few months to start testing Musical Futures as an approach to teaching and learning in schools. 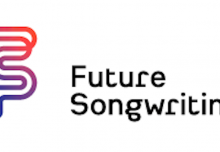 A seminar will take place to launch Musical Futures in Ireland on 18th June at Mary Immaculate College, Limerick. This seminar will feature scholarly debate on Musical Futures as an approach to teaching and learning, as well as practical workshops for music teachers. It will be of particular interest to academics teaching and researching in the field of music education in Ireland, in addition to policymakers and those involved in curriculum reform. It will also be of interest to primary, post-primary or instrumental/vocal music teachers who wish to enhance their approach to music teaching and learning (see attached flyer). The event is free of charge however, numbers for the workshops are limited. To register, please click here. This work is funded by the Irish Research Council New Foundations Scheme.